SteamBirds: Survival is the first sequel to the addictive steampunk airplane game. 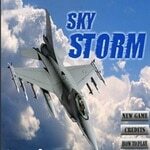 Destroy the enemy drones and airplanes to complete a mission. SteamBirds: Survival is a turn-based game. All aircraft move at the same time, after planning is done. Click and drag the control marker to change the path of your airplane. Much fun with SteamBirds: Survival!